When I have a countdown for Walt Disney World, I am often tweaking my plans and scribbling notes down. I will often see restaurant reviews or new snack items and want to remember them, so I have started some Disney planning using a bullet journal. I love my bullet journal and have one for all things blogging, and also a personal one as well. Theoretically I could merge the two together, but I prefer to keep them separate and that works well for me at the moment. The best bullet journal notebook I have found (and I have tried many different ones), is the Leuchtturm 1917. Personally Irefer lined pages, however these notebooks are available with dotted or plan pages. Bullet Journals can be as detailed or as simple as you want them to be. 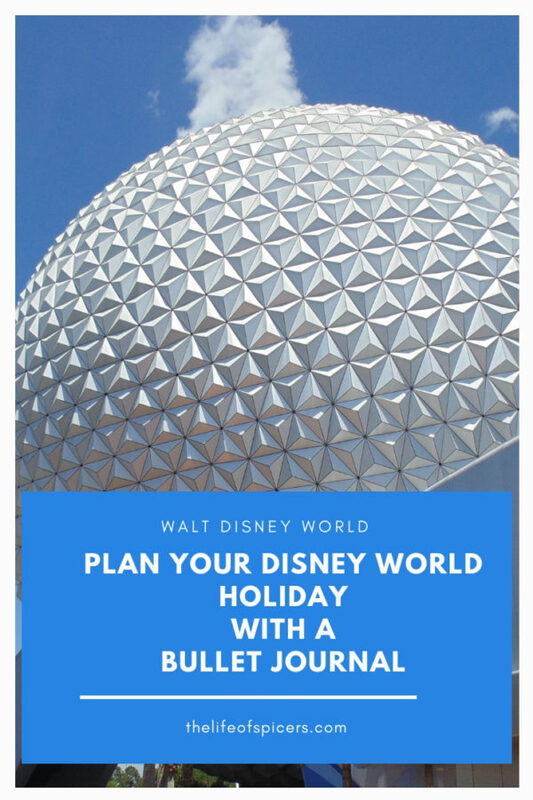 Mine tend to be more about making lists and keeping things organised, so my Disney World bullet journal is all about making sure I keep track of all the new food and drink I want to try, the photo opportunities, merchandise I want to purchase etc. I do however like to make my bullet journal pretty as well as being organised, and whilst I am not highly artistic, I do love some themed stickers, wash tape and planner pages to help me out. 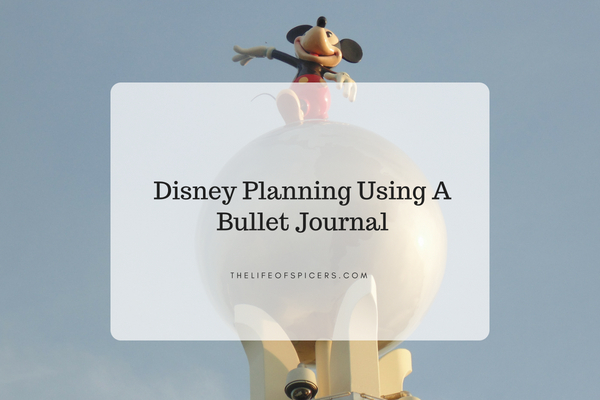 With so many Disney bullet journal ideas, I would advise to start by deciding what’s important to you in your Disney planning. One of the most important things when planning a Disney holiday is how we’re going to save for it. (Read about some of the ways we save for a Disney holiday). I am a visual person and like to see my savings adding up. I thought this savings tracker was a great idea as it gives you the option of adding in your own amounts. It’s no secret that I love Beauty and the Beast, it’s my favourite Disney film and I have collected quite a bit of merchandise over the years. This Chip paperclip jumped out at me when I spotted it and would be a great addition to any Disney planning in your journal. Staying on the same Beauty and the Beast theme, these stickers are so cute and would make my list planning bullet journal pages so much prettier. They would fit especially well on my lists surround which Beauty and the Beast attractions to see at Walt Disney World. No bullet journal is complete without some washi tape. So many bullet journal page ideas feature washi tape. There are so many different designs to be found in almost any pattern. I spotted this bright Mickey and Minnie Mouse design and decided it was a must have to make any bullet journal pages stand out. Everybody needs stickers in their bullet journal, and I loved these Disney planner stickers, so unlike any I have ever really seen before. Perfect for any Walt Disney World planning pages. These mouse divider stickers would work well in so many bullet journal pages that I have in mind. They would make great dividers for day planning to separate the days, and also as page headers. So many possibilities. I love a good countdown when we have a Disney holiday planned. It’s great to see your countdown getting nearer. 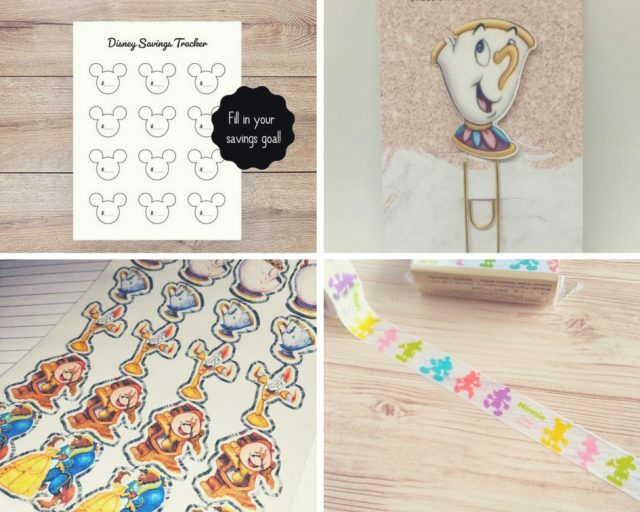 If you want bullet journal Disney countdown ideas then these stickers would work well as reminders to book your ADR’s at 180 days. Also great for your Fastpasses at 60 days or 30 days depending on where you’re staying. A big part of planning a Walt Disney Holiday is planning our Fastpasses. We have favourite rides and attractions that have long lines so we like to take advantage of Fastpasses at 60 days in advance as we stay in a Disney resort. 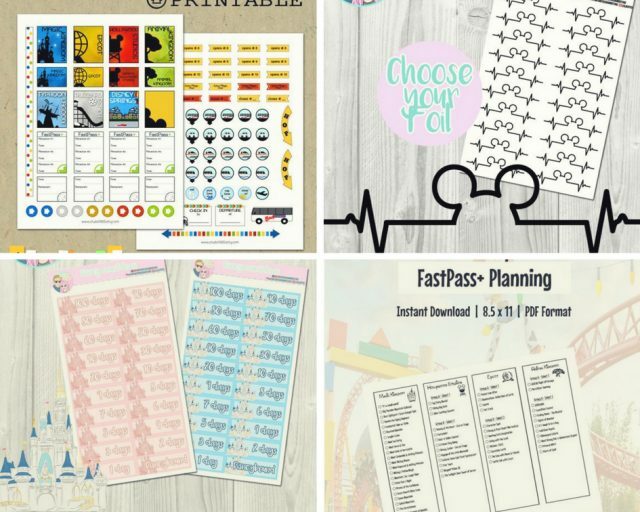 These Fastpass planning sheets look really handy and would be a great addition in any Disney planning bullet journal.